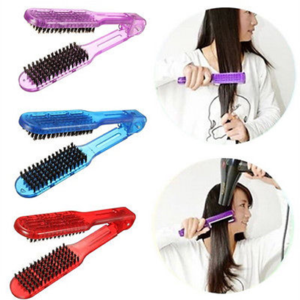 Hair straightening is a tough job if you do not have the tools supports to perform, how to straighten your hair at home by yourself. In this article, I will tell you the tips, hair-straightening process effectively. This is a very important stage to protect the weak and damaged hair pieces from the effects of heat and chemicals. It needed skilled hands of the hairstylist to the process taking place straightening safe, efficient and optimal hair care. Straightening become obsession hair products when stretching is used poor quality and of unknown origin. 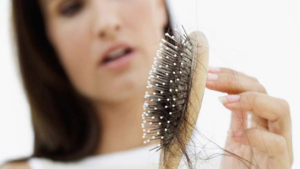 This is the main reason causing dry hair, fibers, loss of vitality and was straightening a “strained” by the impact of chemicals in the ingredients stretching. Thus, the conscious product lines selected senior straightening chemical would be a prerequisite for straightening hair soft and strong. 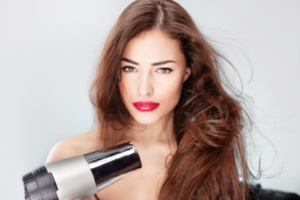 The shampoo is the first step before you apply any method of any thermal styling. The hair should be provided with moisture, nutrients, and clean up the entire dust along the body from the base to tip. Do this at home or the barbershop, just remembers that you do not use conditioner because it will restrict the entry of chemical on the hair stretching. This should be done at the hairdresser because only experts can determine if the necessary moisture to your hair before applying medication. Towel wipes the droplets clinging to your hair after shampooing end step. Panel dryer at moderate temperature and applied across the board until they are 20% humidity is. Hair care solution spray if you show signs of damage before implementation. Apply medication each small vertical curls and at least 1.5 cm scalp. If the hair on the tops is weak, the hairdresser will obliterate the base first and then to about 10 minutes before applying to the ends. Particularly, leaving the roots, are spread by hand smoking. The average residence time of about 30 minutes medicines but workers will regularly check because each hair has a different expansion. Drug effects are stretching as higher pH causing very dry hair, fibers, breakage. So when the hair just enough to spray expansion balancing solution pH 5.5 were up throughout the hair for a few minutes and then discharged. In this step, you only need to remember that hair will go through two discharge times were: flush with water and flush with oil discharge. Do not forget to wash the hair with water and dried long enough turn the hair with a dry cloth before the next steps. Hair specialist will use heat tools stretch your hair back in the opposite direction. Follow the instructions by the execution time how much faster your hair will be less damaged much. You should speak when you see and smell the drug hot stormed up the nose while stretching; employees will be adjusted to your health condition.